Each outfit I try to do something a little different and after going through my ensembles last year, I knew I needed to stay away from red and baby blue. So what do I keep picking out? Red dresses. That is when I decided to do something drastic…and type in YELLOW in the search box. I remember in high school trying on the famous ‘How to Lose a Guy in 10 Days’ satin dress. They replicated that dress for girls to wear to prom and I thought it was going to be the perfect piece for my Senior affair. However, once the yellow satin touched my pale white skin, the rest of me completely drowned out. I have dark and and eyebrows and next to my pale (no olive skin here) complexion, yellow just didn’t seem to be my color. Ever since, I’ve stayed away from it and never tried to make it work. 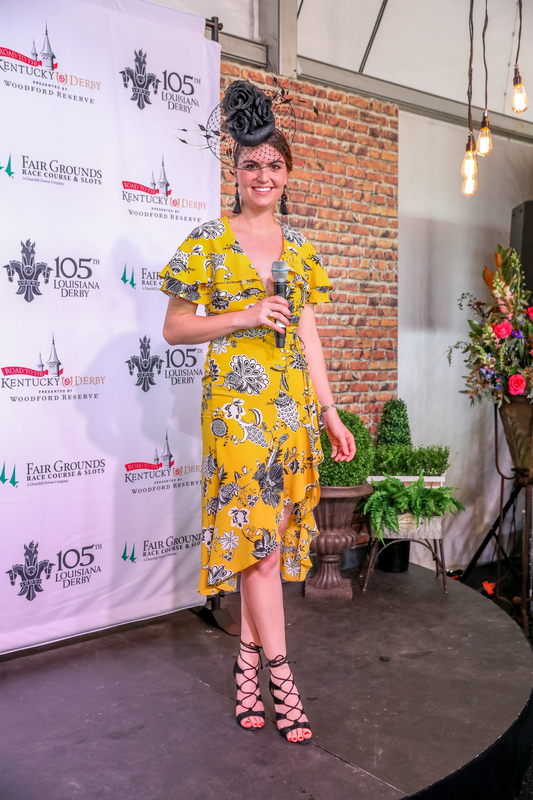 However, when I first started searching for my Lousiana Derby outfit, I began thinking what colors would be apart of the vibrant city- gold, purple, green, yellow, royal blue…all bold and beautiful. I wanted to step out of my box and try to make a bold yellow work. I knew to pull it off, it couldn’t be a plain jane yellow dress- there needed to be a fun busy print to offset the color. I have a few items from River Island which have all been stand out pieces for me. They give you free shipping on orders over $50 (standard shipping- allow about a week for US delivery). These fun statement earrings are also from River Island and were under $25! 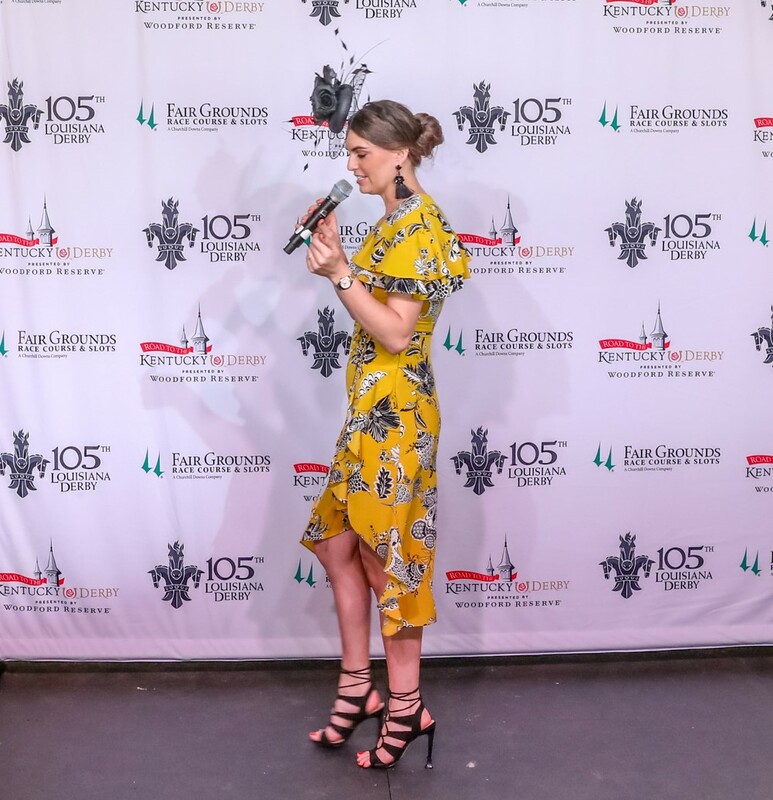 Having the black details in the dress print made picking a hat a little bit easier and rather than designing a custom piece, I decided to grab this gorgeous fascinator from Karen Morris‘s 2018 collection. I can’t say enough about this piece- the details are stand out enough and the quality is always top notch. The wired circular ‘brim’ with the fishnet overlay gave the piece a fun ‘peekaboo’ factor. The flowers and dainty feathers added some movement to the piece and tied in perfectly with the dress. So comfortable to wear all day as it sits on a structured headband. Plus- it was soooo windy that day and I had little trouble with my hat blowing off. Win Win for all. 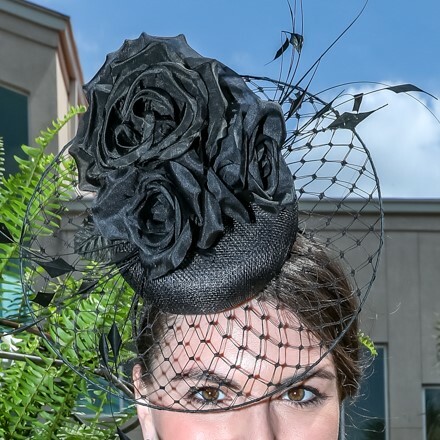 I’ve had conversations recently about millinery and how some designs being sold around the US are just a bunch of feathers or flowers glued on to a base and yet still sold for $500+. A fashionable friend of mine began purchasing her millinery from FATR a few years back and now can’t imagine purchasing anywhere else. She said she has learned so much about a quality piece vs a non-quality piece and can’t understand how people pay for a bunch of glue. My response was that many don’t know the difference because if they purchase those pieces, they’ve never seen true quality in millinery. I put up an instagram post a while back about the frequently asked question “why is that hat so expensive?” – I can’t speak for all hats but I can speak for the ones that FATR carries in its online store. These pieces are handmade and can take days to complete. Fingers are sore from hand-stitching the delicate silks flowers into place and wrapping the sinamay base to hide the rigid edges. The designs don’t come out of a book or from a google search but from the brilliant mind of the milliner (hat-designer). Many milliners don’t have a ‘team’- they have themselves and their small shop space lined with shelves of flowers, feathers, and ribbons. 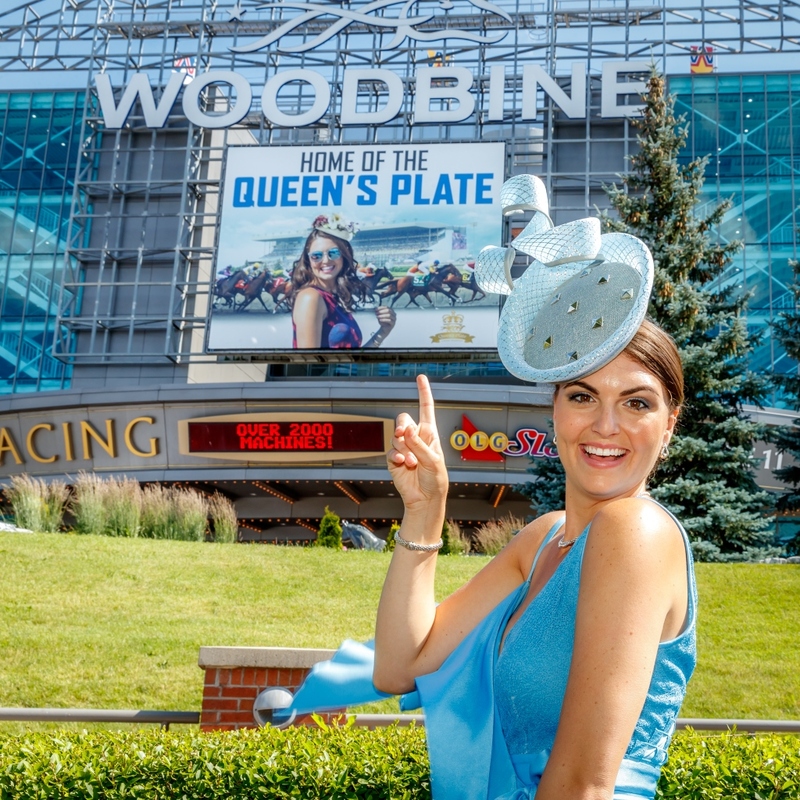 For each hat we sell in our store, there is a talented and hard working individual who has spent hours upon hours putting that piece together so that you can match it with your raceday outfit and rock it on the special day. The best part of their job….is not completing the sale. But seeing you wear it with a smile on your face. Those hats are expensive because they have a value that a machine or a production line could never produce. 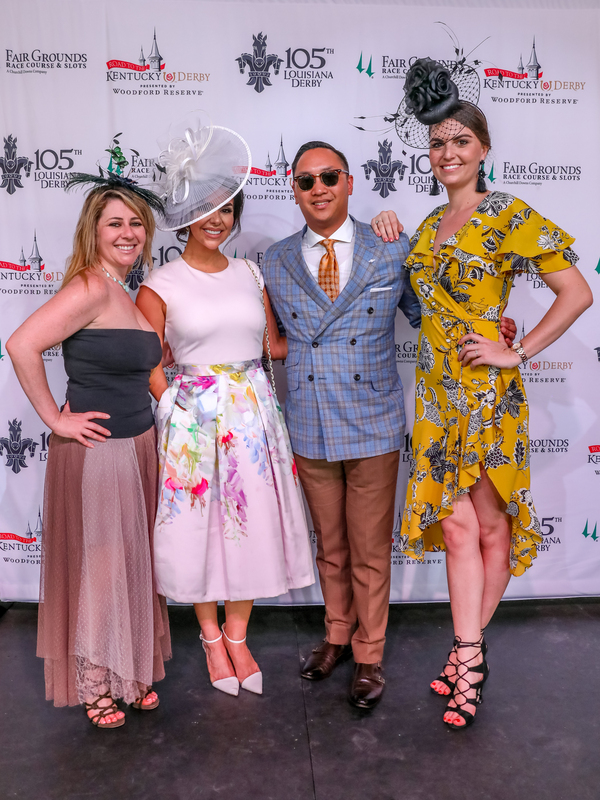 Handmade with some being one of a kind- these hats and fascinators are art and when you wear them, you should feel like you are modeling a piece of art. Once you get that feeling- you won’t ask why they are so expensive- and you won’t say you’ll never wear it again. You’ll appreciate the price and the piece. I personally pick every piece that we carry in our store. I try to cover all budgets and styles and keep the bar on the quality of each piece very high. If you purchase a piece from the FATR store- you are choosing a high quality piece made by a trained milliner. No crazy glue in this joint. Something to keep in mind when you are choosing your next millinery piece. Any questions- feel free to email me at briana@fashionattheraces.com PS- just because its priced high- doesn’t mean it should be.